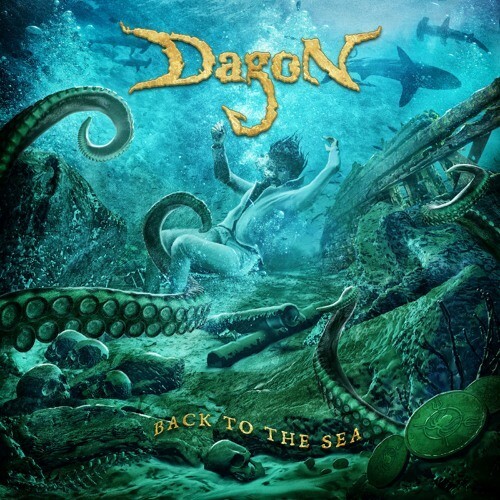 Few albums out there start with a song quite as victorious as Dagon’s Back To The Sea does. Its title track is an anthemic opening number, leading off the lengthy excursion back into the world of nautically themed melo-death from the Lansing, Michigan based group after a seven-year absence. Holding more thinly veiled symbolism than one might expect from a band who’ve made their headway in the metal scene by pulling tales from mythology, the history of piracy, and general apocalyptic tales of the ocean, the song “Back To The Sea” quickly throws aside all pretention in favor of a quick-moving guitar part and a constant refrain of “going back, back to the sea!”, which is an event that has been a long time coming for fans of the band. Last week was a densely packed week for metal, with a lot of huge names like Arch Enemy, Ghost, and Mastodon all releasing music videos, and that wasn’t even the tip of the iceberg in metal news. There was so much that seemed to land backloaded onto Friday that it seemed like metal had just decided to spin up into one of its whirling torrents of destruction modes. Thus I once again step in to write about some of the things that caught my interest within the tornado of heavy metal that thrashed about over the week. 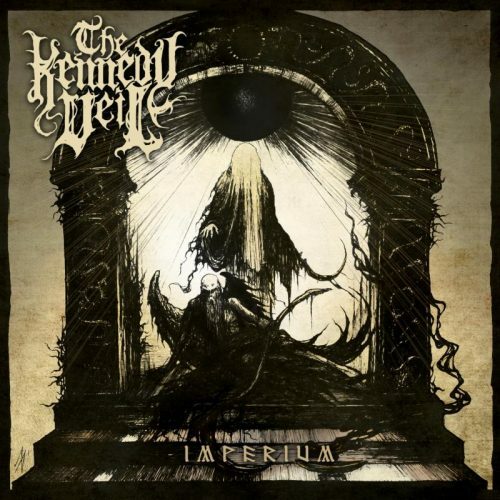 This time around we’re going to do a little traveling again, with two musical releases from Sacramento’s The Kennedy Veil, and Austria’s Belphegor, and then we’re going to take a look at the crowdfunding campaign from Lansing, Michigan’s own Dagon and their latest quest to write more ocean-themed death metal. Inquisition is a pretty special band for me. I got my first Inquisition tape when I was a child, I was 13. It had a great impact on me on many levels. It was pretty surreal to finally get to talk to Dagon in the woods outside Berlin after so many years. We did this interview in Spanish, so have that in mind. 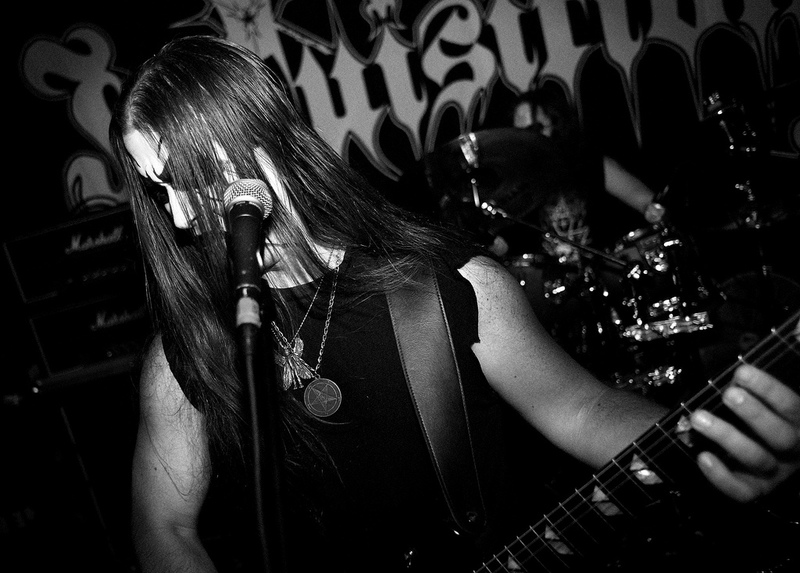 Inquisition started in South America, how did that influence the band? I was really young when I moved to Colombia. I was 11 years old at that time. I think the social environment had an impact on me. I was there in the 80’s when the drug-related violence was at its worst. 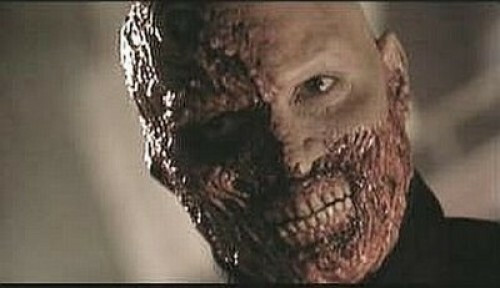 That kind of violence is what Black and Thrash reflect. Here begin the veteran acts. Wastelander Guitarist/vocalist Xaphan dedicated their set to his 14-year-old daughter, who attentively watched from the side while wearing an Asking Alexandria tee shirt. Ah, the generation gap. She should be proud of her papa; his band is badass. 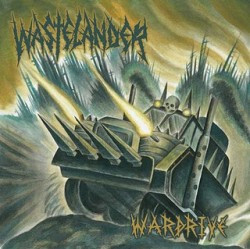 Wastelander plays to my personal weaknesses with their mixture of black metal, groovy thrash, D-beat/crust punk and just plain ballsy metal-rock with a lyrical focus on post-apocalyptic survival. They sonically recognize Motorhead as the inception of all extreme metal, and play music that would make Lemmy proud, with twists of Amebix, mid-period Bathory, early Venom and NWOBHM-y goodness sprinkled on top. They made me go ‘ooh!’ and headbang from the first second—as they always do. So, y’know, maybe it’s better to listen to one now and then another one tomorrow and then the third one sometime next week. Unless that picture up above would be an improvement in your looks, in which case just GO FOR IT! Michigan is known for many things: the automotive industry, cherries, astronomical rates of violent urban crime. To this list I would add excellent melodic death metal bands that routinely sound straight out of northern Europe. 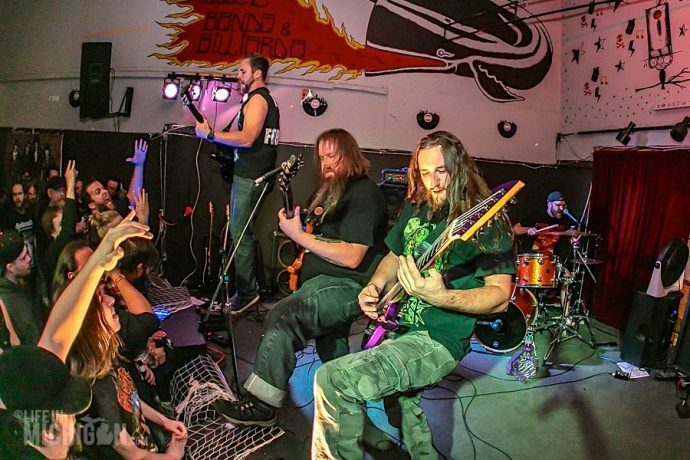 The most well known of these bands is The Black Dahlia Murder, but the underground scene in Michigan is filled with bands that sound quintessentially Swedish. 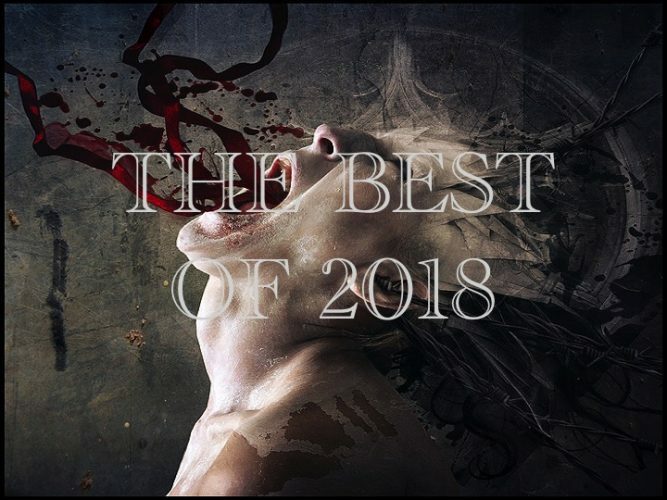 The best of these bands might be Michigan’s best-kept secret, Dagon (there’s a HP Lovecraft reference right in the name — of course they’re quality). 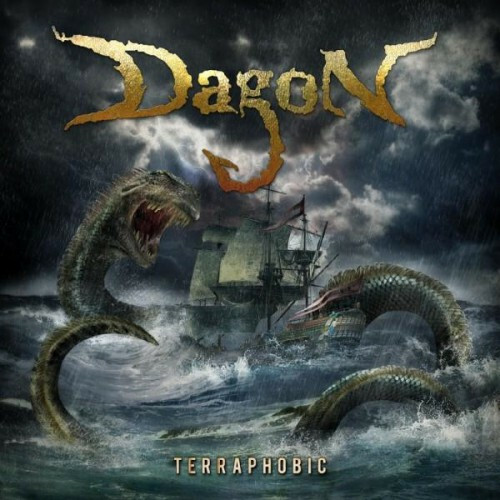 Dagon play melodic death metal reminiscent of NCS favorites Arch Enemy and Amon Amarth, full of big chunky riffs and anthemic choruses—this is hook salad, not riff salad. So what? 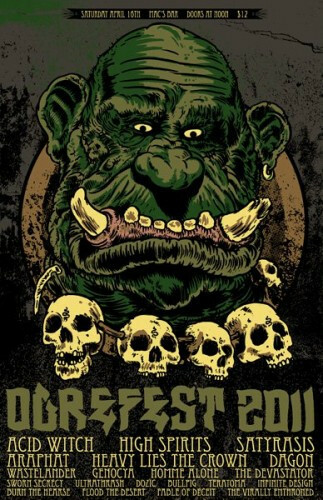 Melodeath bands dealing in earworms are a dime-a-dozen. Where Dagon excels is in the sheer number of subtle neoclassical and prog nuances they add to the formula. Twin lead guitarists Chris Sharrock and Briant Daniel employ NWOBHM-style guitar harmonies to create a thicker, meatier guitar sound than most (read: over-produced) bands emulating the Gotheburg sound. Bassist/Vocalist Randy Ladiski is the band’s MVP—his prog-tinged six-string basslines propel their songs with an impressive gallop while deepening the melodies and occasionally dipping into funk territory. Randy’s co-vocalist is drummer, Truck Batterbee.